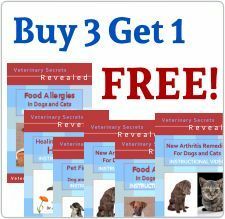 Cat Health and Nutrition: How to Keep your Cat Healthy with Food and Natural At-Home Remedies: 1 hour Webinar Video (MP4 format - Download). Cat Health and Nutrition: How to Keep your Cat Healthy with Food and Natural At-Home Remedies is a 1 hour Video recording of Dr. Jones' webinar on cat health and nutrition. Basic price includes mp4 download only. To have it shipped to your door on DVD, simply check the box above (if you select DVD option, your order will include both the download as well as the DVD shipment). what is the best cat food to feed? should you be feeding raw food?... is it even safe? cancer in cats: can you help with nutrition? supplements: are they really necessary, do they work, and how can you tell if they are safe? at-home diets for cats... here are ones that are simple, safe and tasty! for cats on premium diets: if I'm feeding my cat a premium, high quality diet, do I need to supplement as well?